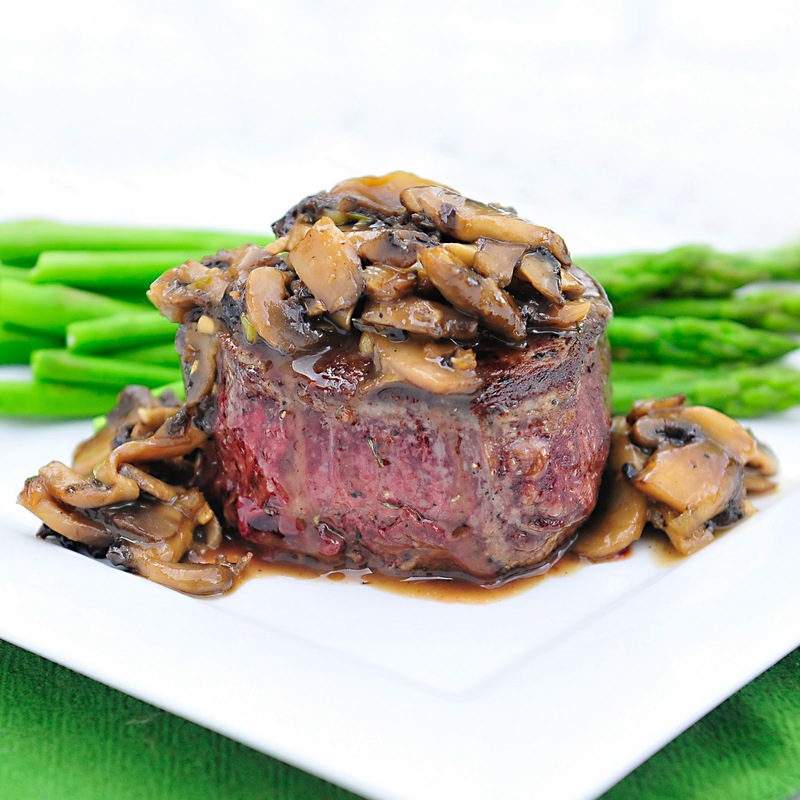 One thing I have learned over the years is that if I serve steak in my house--I better have sauteed mushrooms too. It took me a while to learn this though. The disappointed looks, the short "oh" when it was relayed that I did not have mushrooms finally sank in. I realized that Cory was a mushroom man and he LOVED them with steak. I have made a variety of recipes through the years. I have interchanged the "oil" for bacon grease, butter and olive oil; in some cases I even combined them--oh, the horror! (Remember I am a home chef and sometimes these things happen). I actually like the flavor and results that I get when I combine butter and olive oil to make my mushrooms but I wasn't sure if everyone else would so I have kept the recipe below with just butter. I will leave it up to you to substitute or exchange the sautéing oil if that is your desire. What made this recipe so different is the addition of brandy. Just the small bit added a deep and rich layer of flavor. It was different and my family thought these were great. In fact, next time I will double the recipe. 1. Heat butter in saute pan over medium heat. Add mushrooms, garlic and shallots. Cook for 4 minutes. 2. Add remaining ingredients. 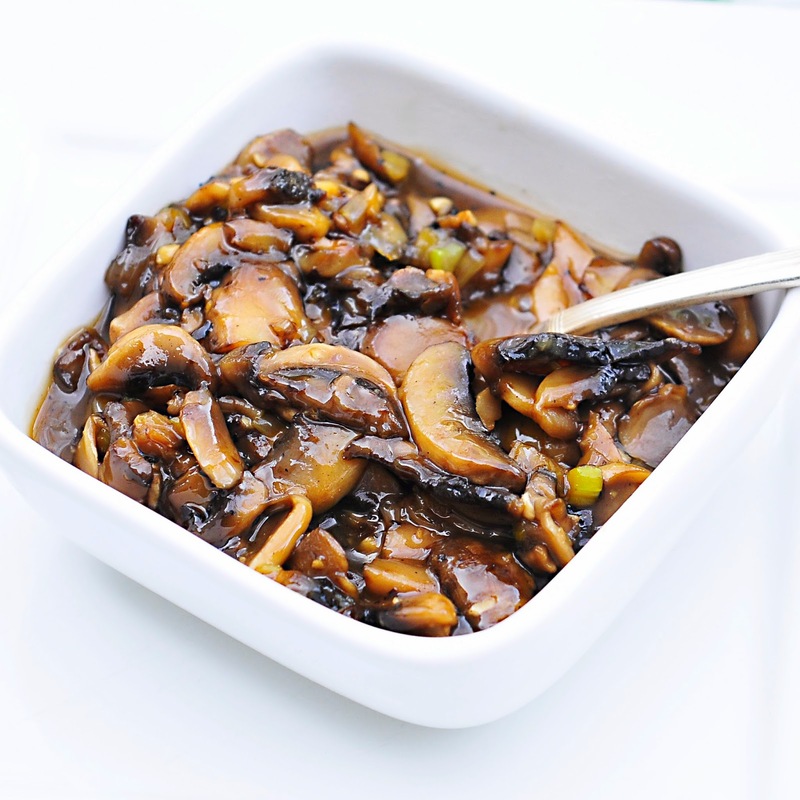 Increase heat to medium high and reduce most of the liquid until the mushrooms are browned (see photo). 3. Serve immediately over steaks.